Nashville, In. -- Hidden at the end of a muddy back road off State Highway 46, a clearing reveals the fruits of a conservation group’s labor. A thicket of trees and vegetation grows undisturbed in a parcel of donated land. Some of the trees wear the black lick of flames that have preserved life through destruction. Fire helps native oaks thrive in Brown County, Indiana. For the past 33 years, the group has held its nonprofit Spring Wildflower Foray in Brown County. Volunteers lead visitors in wildflower and natural area hikes and birding tours over three days. Linda Watkins and her husband, Larry, have traveled from their North Carolina home to Brown County for the past 25 years. She says Indiana is home to some of the most beautiful landscapes she’s witnessed. 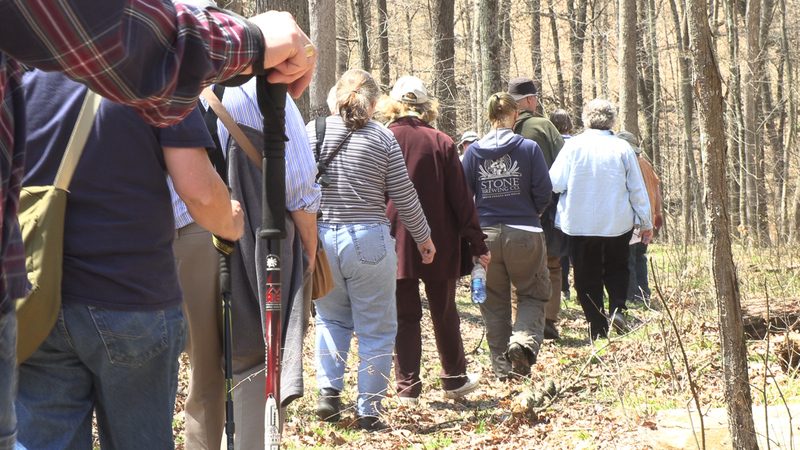 Dan Shaver leads the Fire and Flowers hike during the Spring Wildflower Foray in Brown County, Indiana. Dan Shaver, project director for the Nature Conservancy Brown County Hills Project, says learning about the state’s natural resources is important for Hoosiers. Shaver says that’s why he volunteers to lead the Fire and Flowers hike during the Foray. He wants people to know the natural processes that occur and allow the state’s flowers and trees to thrive. 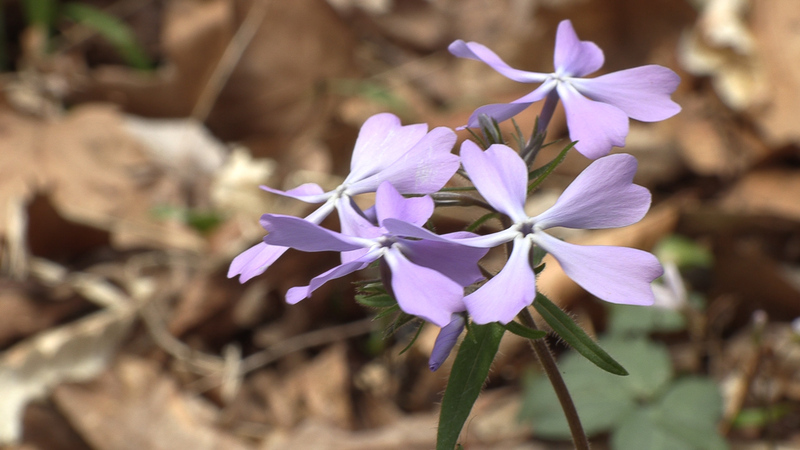 Cleft phlox grows on the Nature Conservancy's Brown County, Indiana preserve. Shaver says fires in Brown County happen naturally every three to 30 years. The last fire to affect their preserve happened just over three years ago, and some oak and hickory tree seedlings are just now growing. Shaver says fire doesn’t just affect trees. Fires in the area directly affect the food chain for migrating birds and other wildlife. 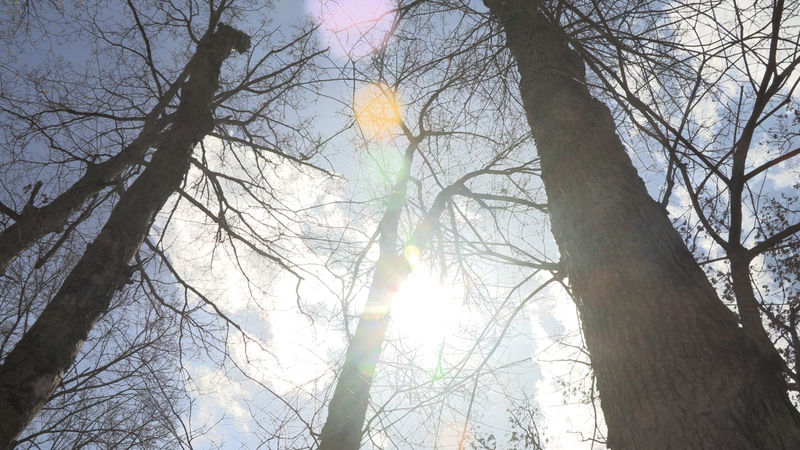 Oak trees grow in the Nature Conservancy's Brown County, Indiana preserve. 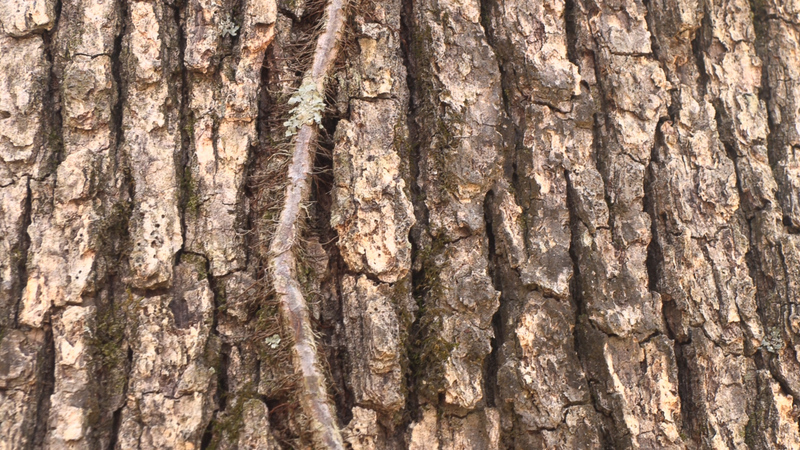 As the oak and hickory trees start to emerge, caterpillars, moths and other insects provide the fuel for the birds while they make their way further north. According to Shaver, this year has been particularly tough for wildlife and plants due to a long winter season. Native wildflowers are about two weeks behind their usual growth in the preserve. 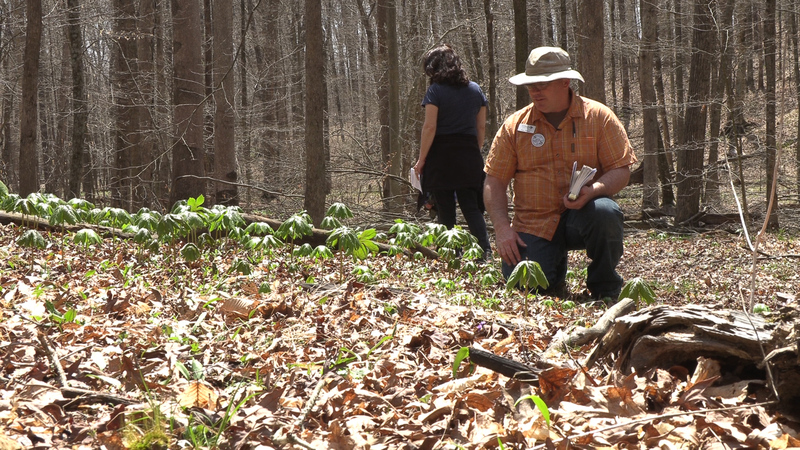 Cleft phlox, toothwort, Spring beauties and trilliums are beginning to bloom and take their place in the ecosystem. Watkins says she’s found her own treasure trove of wildflowers close to the area where she’s staying. “There is a park not too far from where I live that has a wonderful variety. I take pictures of them all the time, and people don’t even know it’s there. I call it my secret garden,” Watkins said. Hikers make their way down a hill in Brown County, Indiana. Shaver says more people should spend time in the great outdoors.